Happy Thanksgiving to my fellow Americans! BTW, today's post has nothing to do the holiday or gratitude or anything like that. Anyway, since it's almost December, we only have about a month left in the semester, and that can only mean one thing: finals are almost upon us, and with finals comes lots and lots of studying. This year, the classes I'm taking are significantly harder compared to the ones from last year, so I've had to really step it up with my study game. 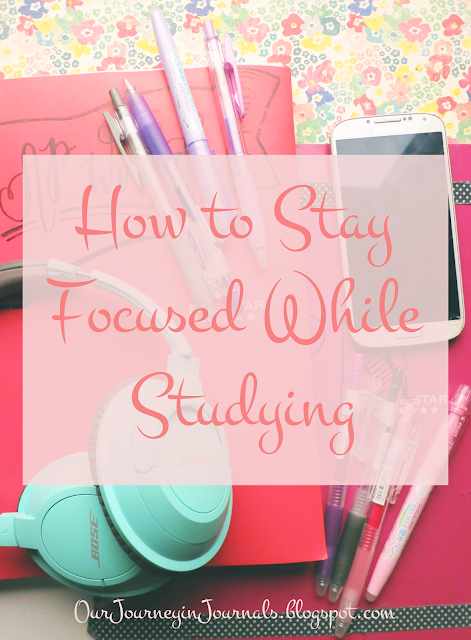 It can be really hard to not get distracted in this day and age (when there are so many other things that could occupy our time), so today, I've decided to teach you how to stay focused while studying! Note: even though I created this post with students and with studying in mind, a lot of the tips and methods covered in this post can still be applied to staying focused in general. So whether you have a desk job, an art project, or whatever it is you need to do, you will probably still find this post to be helpful. If you look at my first bullet journal and my second bullet journal, one of the biggest differences you'll notice is my handwriting. Starting from late May/early June, I started to practice and improve my handwriting. I decided to do so because my handwriting hadn't really changed or gotten better since the sixth grade, and it was frankly quite ugly. 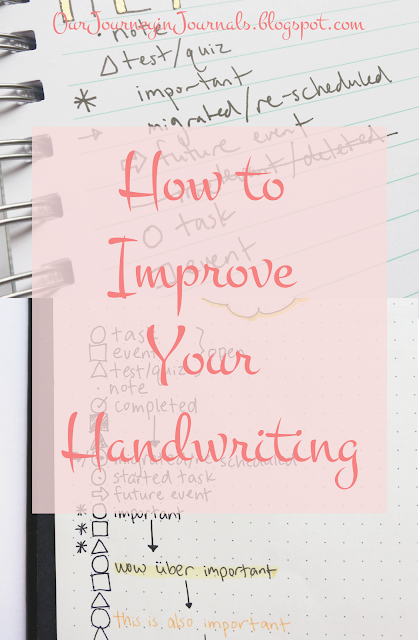 Thus, using my own experience in improving my handwriting, I'll be teaching you today how to improve your own handwriting! It's almost that time of the year again: the Christmas season! I love the first half of winter, with its sense of holiday cheer, the sparkly atmosphere, and of course: the gift-giving. Even though my family doesn't celebrate Christmas in the traditional manner, we still honor the custom of giving presents. And, if you have a bullet journalist in your life (whether it be a friend or family member), there are many different presents that you could give them. 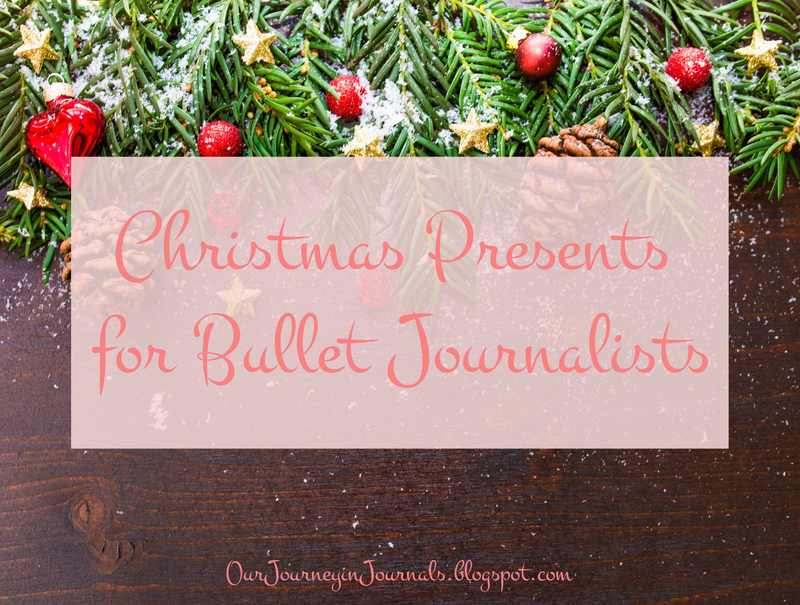 In this post, I'll be detailing several different ideas for gifts you could give that any bullet journalist would like, whether they're a beginner, a seasoned veteran of the bullet journal, or completely regardless of their experience with bullet journaling. So, without further ado, let's get to it! 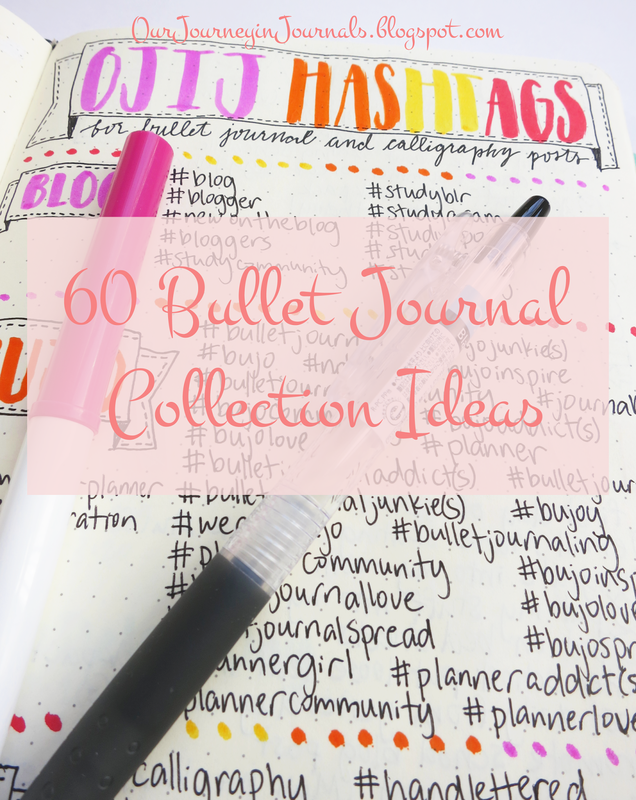 One of the main things that set bullet journals apart from normal planners are collections. Collections are basically any sort of random list or layout that you want inside of your bullet journal, and it's really convenient to not have to mentally file all of these things. Fortunately, due to the adaptive nature of the bullet journal system, you can make literally any sort of collection that you want to have. However, especially if you're new to bullet journaling, you might be confused as to exactly what sort of collections there are. Thus, I made this list of 60 collections that you could consider to incorporate into your bullet journal!